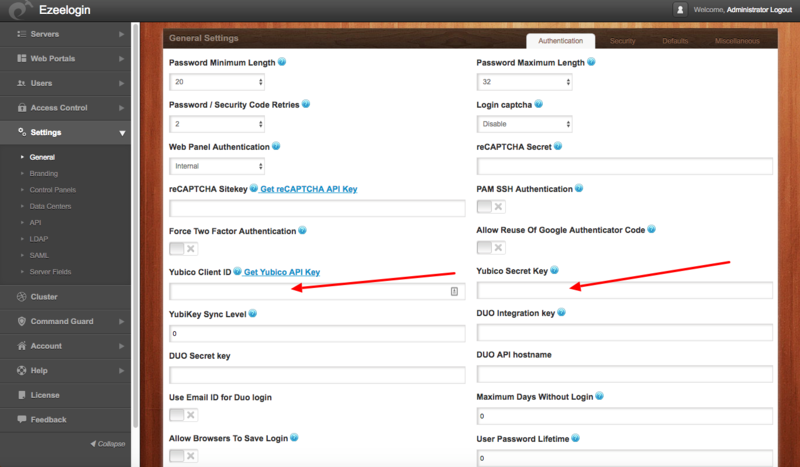 Configure Yubikey 2 factor authentication for Ezeelogin GUI and for the backend ssh? 3. Once this has been done, login into the web-interface using the Yubikey 2FA method and then the backend 2FA in ssh would automatically use the Yubikey 2FA.Basically, the last succesful 2FA method used in the web interface/web-gui would be used in the backend ssh shell/ or ezsh shell. Posted - Thu, Jun 15, 2017 at 1:12 AM. This article has been viewed 2996 times.